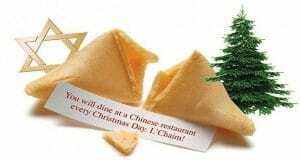 Home » Chop Suey » “Happy Garden”, Williston Park – Dine in or Take Out – Be Happy! 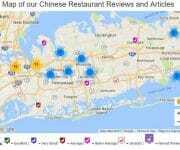 I’ve been to Happy Garden Chinese Restaurant a few times. I’ve dined in a few times and taken out more often. I always thought it was in Mineola, NY. Technically it’s in Williston Park. I found that out when I Google’d the address, so now I know too! No matter, Mineola, Williston Park, they’re right next to each other. No matter. Be Happy! For a while Happy Garden was my go to place. 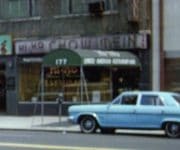 It’s so close to my Auto Repair shop of choice, Midas of Mineola on Herricks Road in Mineola (Highly recommended by the way. Disclaimer: They did not pay me to say that). But I never wrote about it. Times have changed. 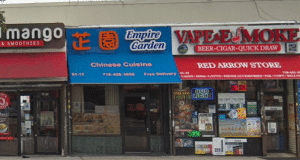 I don’t go to Happy Garden very often (not because the food isn’t good) any more (and yes, I still use Midas of Mineola), and now I’m writing about it! We took out from Happy Garden a few weeks ago. 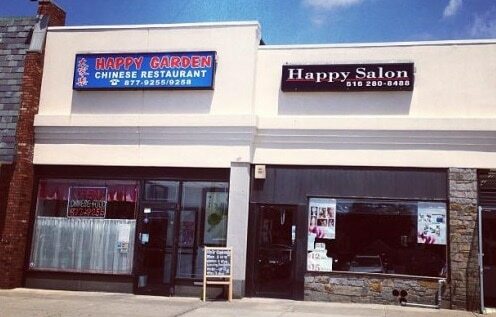 Happy Garden is located at 418 Hillside Ave, Williston Park, NY 11596 is the H-Mart Shopping Center. 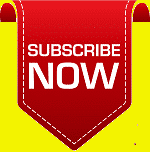 The restaurant is very welcoming, pleasant to dine in. And convenient to take out from. There’s plenty of parking in that shopping center. Apparently, this is a very HAPPY Shopping Center! 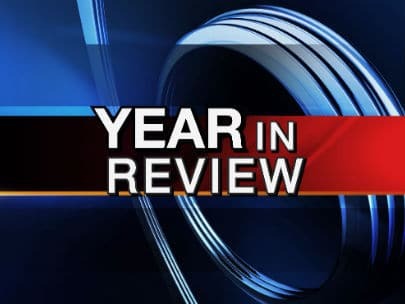 On this day, in order to write a brief review, we stuck with the dishes that we have ordered most often. 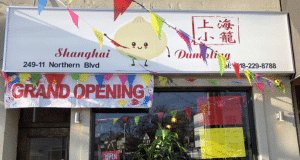 Steamed Pork Dumplings – Did you really expect The Dumpling King, aka Mini Mee to order anything else. 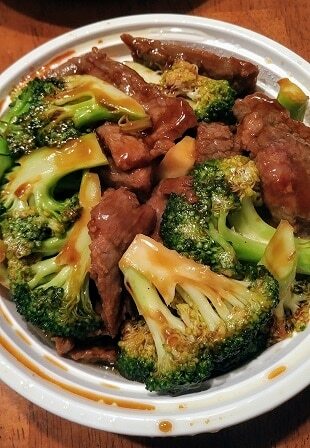 I’m slowly introducing him to other dishes, and trying to get him to try some things from authentic Chinese restaurants (yes, Happy Garden would be classified as Americanized Chinese), but the “war” won’t be won in a day. Heck, for the longest time growing up all I ever ate was BBQ Spareribs from Chinese restaurants. 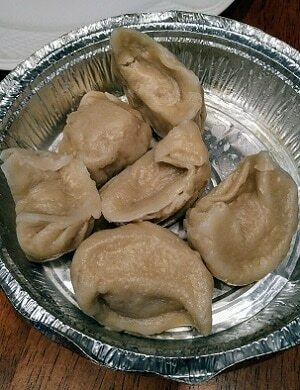 As for these Dumplings, the King rated them Fair (as in middle of the road). 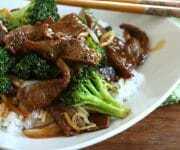 Beef with Broccoli – My go to dish when I don’t feel adventurous, or when I try out a new (for me) Americanized Chinese restaurant. With this combination platter I get to rate two very important things to me. The pork fried rice can’t be greasy, nor can it be too dry. Happy Garden passed this test a long time ago, and I can say they still receiving a passing grade from me. The other is the quality of the beef. If it doesn’t look like beef, nor taste like beef, it’s not for me. Another pass. 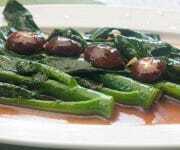 I like this dish. I like how Happy Garden makes. Mee happy! 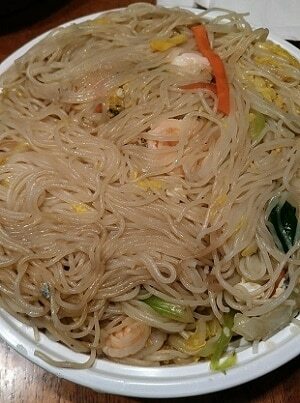 Mei Fun Noodles with Shrimp – I’ve never experience “bad” Mei Fun noodles at any Chinese restaurant. The important factor in this dish is the Shrimp. Quantity and Quality. The amount of shrimp was just right. And the shrimp tasted good. Not to dry. May I say succulent? I think I just did 🙂 Also good on their menu, if you fancy Mei Fun Noodles is the Singapore Mei Fun Noodles. That dish as a nice spice to it. 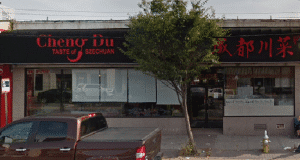 If you’re in the Mineola, Garden City, and heck, even Williston Park area, and you’re craving some Chinese food, Happy Garden is a great choice to either dine in or take out! 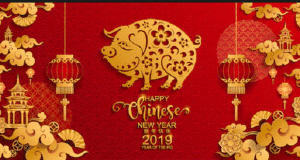 Your mileage may vary on other dishes, but if you like what we ordered and what we had to say about it, and knowing that I have tried other dishes and continued to eat at Happy Garden, then I feel that you will be happy too if you do. 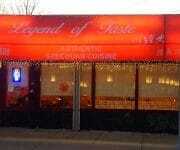 The Chinese Quest is always looking for unexplored Chinese restaurants to try. I ate there quite a few times through my 10 years working in the area and I never had a bad meal. I recommend this place Lonnie. How are you feeling Bro?